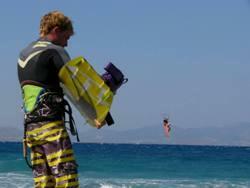 We've a choice of kitesurf centres in Psalidi, Kos near Kos Town on the east of the island and kitesurf services from the beach in front of your hotel in Marmari, Kos on the north coast. 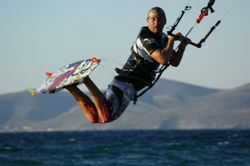 The Sportif Kos Kitesurf Centre is positioned on the beach at Psalidi, on the Northeast coast of the Greek Island, just south of Kos Town. Offering rental and instruction services with a shuttle bus available from your accommodation. Kitesurf centre with instruction courses for beginners, intermediates and advanced kitesurfers using North Kiteboard equipment. Storage, rescue and range of other sports available including windsurfing and SUP.